All Caddo Magnet Fencing team members must be a competitive member of the United States Fencing Association and maintain Caddo Magnet Fencing Club as his/her primary affiliation. - We are in the Ark-La-Miss division. The Louisiana division is only for southern Louisiana. 2. All team members must pay $20 per semester for team dues. If you are in a fencing class during the day this fee is in ADDITION to your class fee. By paying your team fee you agree to follow all rules and regulations of the team and of US Fencing. Your team fees are non-refundable. If you fail to pay your team fee but are still representing Caddo Magnet at competitions, you are still obligated to follow all rules of behavior and sportsmanship to remain a member of the team. Also, only those who have paid a team fee are eligible to use school fencing equipment at competitions. Read more about this on the tournaments page. Schedule: Mondays and Wednesdays will be on a 3-weapon rotation with drilling and lessons with Coach Rob and Josh. Practices will begin promptly at 3:45 PM on those days. If you arrive after 3:45 PM you will not be permitted to stay. 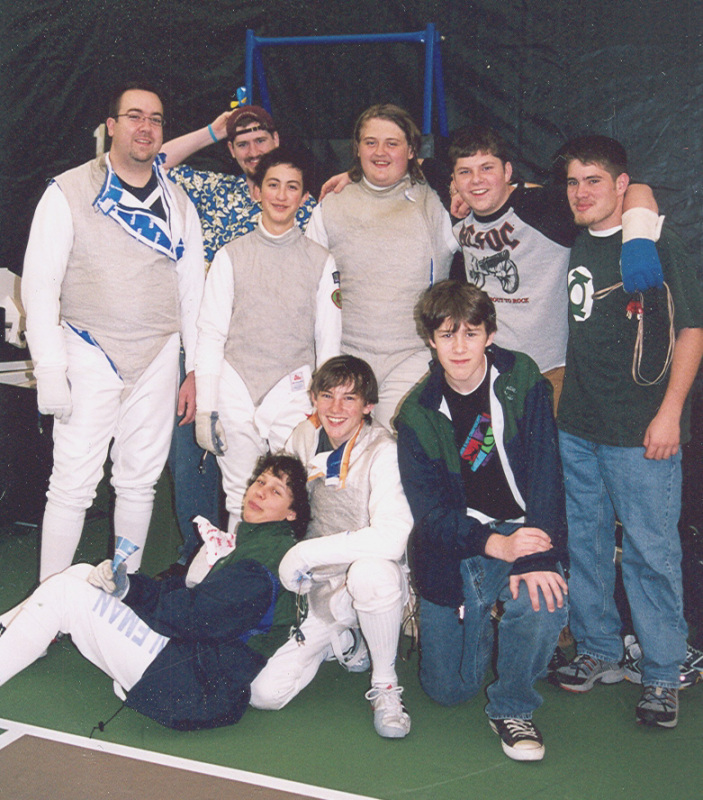 Thursdays are open fencing days from 3:35 through 5:00 PM. If you do not attend Monday or Wednesday session you are not permitted to fence Thursday. Team practices are not required, unless you want to fence on Thurdays' open fencing. - Exhibit superior sportsmanship on and off the fencing strip, no exceptions. - Qualify for the National Junior Olympics or the Summer National Championships. you also must not be on academic probation at anytime during the school year. Near the end of the school year, team members will vote for the fencer of the year. The winner will be announced at the end of the year banquet and present his/her award. All team members that meet criteria for a Varsity Letterman (above) will be eligible for Fencer of the Year. *** Team members: please read this page about rules, print a copy, endorse it with your signature indicating that yuo have read and understand these rules, and turn it in to Mr. Candiloro. The first fencer to do this will receive a small gift. Fencing can be a very expensive sport if you get highly involved in it. You do have the option of purchasing your own equipment but you don't have to - you can use the school equipment if you pay your team fee. Other expenditures for fencing during the school year will include your USFA membership of $60 for the year, or $160 for a 3-year membership, and expenses for travel and tournament fees since the school does not pay for competition because fencing is not a LHSAA sport (Louisiana High School Athletics Association). A weekend trip out of town for a tournament will run about $200 for hotel, gas, food, and tournament fees. This of course varies depending on the tournament and where it is. National events will cost considerably more. If you have ANY questions or concerns please contact Mr. Candiloro.